Use of deicers on roads, parking lots, and sidewalks can improve public safety and mobility, but they are taking a toll on the environment. The use of road salt and other deicers for highway maintenance became widespread during the 1960s. And while salting allows for safer winter travel, sustained economic productivity, continued emergency services, and other benefits, salt has been silently accumulating in the environment ever since, threatening drinking water supplies and aquatic ecosystems. According to a U.S. Geological Survey (USGS) study published in the March 2015 issue of Science of The Total Environment, average chloride concentrations often exceed toxic levels in many northern U.S. streams. Researchers found that chloride levels increased substantially in 84% of urban streams analyzed, with the frequency of toxic chloride occurrences nearly doubling over two decades. About 70% of U.S. roads are located in areas receiving an average of more than 13 cm of snow annually, and these roads service about 70% of the U.S. population. To keep these roads clear, 18.3 million metric tons of road salt were sold in the U.S. in 2007, according to the Salt Institute. In 2009, 7.2 million metric tons of road salt were sold in Canada to control snow and ice, according to Environment Canada. Keeping highways free of snow and ice costs the U.S. about $2.3 billion annually, as reported by the National Cooperative Highway Research Program, and the cost of road salt is rising, doubling and even tripling in some parts of the U.S., due to increased demand. 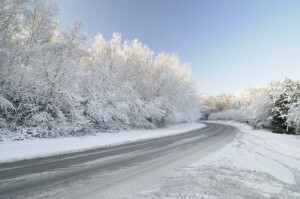 Measuring the success of snow and ice removal also typically hinges on safety or mobility; for example, the time required to return to bare lane. Efforts to reduce the use of deicers to protect the environment and prevent corrosion of vehicles and infrastructure are typically voluntary and come second to safety concerns. However, agencies are discovering that more salt is not always better, and it is possible to maintain high levels of service, maximize safety, and reduce liability while using less. As urban land use increases, chloride concentrations are increasing in northern streams and groundwater systems due to the use of deicers. Chemical deicers have been accumulating in the environment for about 50 years, and the picture is pretty scary, says Shi. In the state of Washington, for example, road crews would apply roughly 9 metric tons of salt per winter season to a 1-kilometer stretch of four-lane highway. Over 50 years, that is about 450 metric tons of salt in that 1 kilometer. Chloride concentrations are increasing and accumulating in the shallow groundwater system, which feeds streams during low-flow conditions. These streams already are starting out with higher chloride levels in the fall. “This means that it takes less new road salt to increase concentrations to harmful levels,” said USGS Research Hydrologist Steven Corsi, who also is lead author of the March 2015 study on chloride trends in snow-affected urban watersheds. When increased for extended periods of time, high chloride concentrations can negatively affect or kill aquatic organisms. Those organisms left in the stream are salt tolerant, reducing overall biodiversity. Based on U.S. Environmental Protection Agency (EPA) water quality criteria, chloride levels at or above 230 mg/L for more than four days are harmful to aquatic life. Between urban land coverage of 15% and 20%, chloride concentrations begin exceeding the 230 mg/L threshold. “More urban sites — those with 50% to 100% urban land cover — can exceed water quality criteria 100 to 200 days per year,” Corsi said, emphasizing the severity of the problem. According to a 2010 study in the journal of Environmental Science & Technology, continued sampling in New Hampshire showed that streams with average annual chloride concentrations greater than 100 mg/L are a good predictor of what will become 230 mg/L water quality standard violations. Researchers found that impairments occur when at least 15% of the watershed is dedicated to developed land and transportation uses, and salt loading rates are about 70 metric tons per square kilometer. “There is a definite relationship between urban land use in the watershed and chloride concentration in streams,” Corsi said, referring to the USGS study. “As urban land use increases, chloride concentration increases.” This relationship proved relatively consistent across the country. Examining the role of snowfall patterns throughout the study period, USGS researchers found that these patterns may have contributed to increasing chloride concentrations in Midwest streams but not in other parts of the country. Researchers also looked at whether communities are applying more salt for the same amount of pavement. While actual evidence for this is difficult to prove, researchers did find that road salt sales have outpaced urban land growth in northern states. 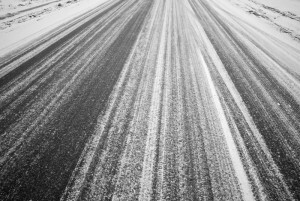 By utilizing best practices in technology, training, and management, agencies can use less road salt while maintaining high levels of service, maximizing safety, and reducing liability. By utilizing best practices in technology, training, and management, transportation agencies can better deliver the right type and amount of deicer to the right location at the right time. 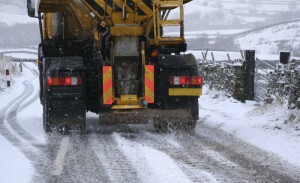 This reduces the amount of salt used, saving money and preventing environmental damage. Road salt, or sodium chloride, works by lowering the freezing point of water and breaking the bond between pavement and ice. Yet the very nature of salt is what makes managing its environmental impacts so tricky. Chloride salts completely dissolve in water, so they are impractical to treat. According to the Minnesota Pollution Control Agency, one teaspoon of road salt can permanently pollute 19 liters of water. Traditional urban runoff practices are designed to settle or filter solids and do not capture salts. Practices like wet detention ponds slow runoff and dilute the salt, but this just changes the timing of salt releases. Additionally, green infrastructure practices, which rely on infiltration, can simply transfer salt from a surface water issue to a groundwater issue. “The best way to reduce road salt in the environment is to reduce the amount you put on to start with,” says Professor Mike Stone of the University of Waterloo’s Department of Geography and Environmental Management. According to Stone, training — not only municipal staff but also private contractors — is one of the most effective ways to reduce the amount of salt that is applied to roadways and parking lots, because in many cases private contractors represent a large portion of the people who use deicers. The New Hampshire Department of Environmental Services (DES) has put this advice into practice with its Green SnowPro training, which focuses on private appliers and began in 2010 as part of the state’s Salt Reduction Initiative. Since the start of New Hampshire’s Salt Reduction Initiative, the New Hampshire Department of Transportation has documented a 20% decrease in salt use, and municipalities have had varying levels of success. Water quality data also are starting to reflect the efforts of private and public appliers. The state may soon be able to delist Beaver Brook, where chloride impairments were the least severe. “There are no treatment mechanisms for road salt, so when you see chloride reductions in the stream, you know it is in direct correlation with the amount of salt being applied in the watershed,” Williams said. New Hampshire’s Salt Reduction Initiative started after EPA sampling revealed elevated chlorides in four watersheds during an environmental impact analysis of a highway expansion project along the I-93 corridor. In developing total maximum daily loads (TMDLs) for these four watersheds, DES found that private sources, such as parking lots, driveways, and sidewalks, contribute as much as 50% of the total salt load. State highways, on the other hand, contributed only 10% to 15%, and municipal deicing practices accounted for about 25% to 30%. To make this program a success, DES worked on two fronts by developing a voluntary, state-wide training program for private appliers in tandem with legislation that would protect them from liability. “Many private contractors say no one is going to slip on my watch, so they just over apply,” Stone said. New Hampshire addressed the issue by passing legislation in 2013 providing liability protections for operators who are Green SnowPro trained and certified, and follow best practices. Protections are also extended to property owners and managers hiring certified applicators. With a number of educational programs already directed toward municipal public works at the University of New Hampshire Technology Transfer Center, DES partnered with the university to add courses on deicing parking lots and driveways. Now into the second winter of operations, about 350 people have been certified. “The focus of the program is on how salt works, knowing how much you are putting down, and being able to adjust that based on weather and site conditions,” Williams said. Certified applicators are required to produce an annual report quantifying the amount of salt used throughout the winter and the number of acres maintained. These recordkeeping requirements are helping DES get a better handle on actual private sector application rates. Data already shows that operators are using less salt than expected based on rates calculated for the TMDL. A similar program in Waterloo, Ontario, Canada, the Smart About Salt program, was launched in 2008 by the Regional Municipality of Waterloo to combat increasing sodium and chloride concentrations in its drinking water sources. As reported by the municipality in 2010, chloride concentrations exceeded target objectives in more than 10% of municipal supply wells. Smart About Salt is an accreditation program for private contractors where they are eligible for insurance premium reductions upon completion. The program provides support during implementation and a focus on continuous improvement. It also requires contractors to keep better documentation. The Regional Municipality of Waterloo and other local communities have incorporated program participation into their tender process, providing a competitive advantage to those involved in the program. In a pre- and post-BMP comparison of groundwater water quality, University of Waterloo researchers quantified the effects of the Regional Municipality of Waterloo’s salt reduction strategies. In addition to motivating salt-conscious behavior in the private sector, the BMPs also included reducing salt applications, upgrading winter maintenance equipment, using brine pre-wetting strategies, and testing alternative deicers to achieve at least a 25% reduction in road salt. Data demonstrated that, after 5 years, the BMPs considerably reduced transfer of road salt to the water table at monitored well sites with a chloride reduction of approximately 60%. At the close of 2014, Environment Canada announced performance indicators and voluntary targets for reducing road salt that are to be in place by 2019 and could lead to future regulatory steps. Environment Canada classified road salt as an environmental hazard nearly a decade ago and later released the 2004 Code of Practice for the Environmental Management of Road Salts. The new targets are to monitor progress toward implementing the code. One of the primary recommendations of the code is that municipalities develop salt management plans. These plans allow organizations to review existing road maintenance operations — from inventorying salt supplies to identifying salt vulnerable areas — and are a means for setting goals to achieve salt reductions. They also help agencies plan for, rather than react to, winter conditions. Informed decisions also are essential to successful roadway winter maintenance, and improved monitoring and recordkeeping are key to being informed. One good example is the Iowa Department of Transportation’s salt use dashboard, which compares the actual amount of salt used with the seasonal salt budget at each of its garages. There also has been a rapid increase in the adoption of weather forecasting and Road Weather Information Systems. Accurate weather forecasts and data can improve levels of service, while also allowing agencies to reduce unnecessary salt applications. They can prepare agencies for proactive anti-icing measures, which seek to prevent, rather than break, the bonding of ice with pavement and can help prevent black ice formation. Additionally, software support tools can go a long way toward informing decision-making. Maintenance decision support systems (MDSS), for instance, can help optimize snowplow routes by providing weather forecasts and other observations along specific routes. Using MDSS, the Indiana Department of Transportation realized savings of nearly $10 million by reducing 170,800 metric tons of road salt. Additionally, the department saved nearly $1,000,000 by eliminating 41,967 hours in overtime compensation during the 2008-2009 winter season. The National Highway Administration has provided an open-source MDSS framework for organizations to use. 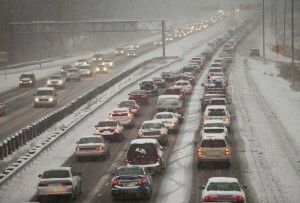 “Good winter weather management also relies on how roadways are designed,” Stone said. Vegetation or snow fences adjacent to roadways can prevent snow from coming onto the road. Permeable pavers may also reduce the need for salting. Because they are designed to infiltrate runoff, ice should not form on top. 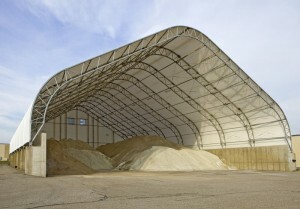 Storing salt under permanent roofs on impermeable pads is a best management practice. Canada’s 2004 Code of Practice also recommends implementing a series of BMPs in three specific areas: salt application, salt storage, and snow disposal. In those three areas, the code of practice applies 10 best management practices. According to a 5-year review of the code, released in 2012 by Environment Canada, improvements in salt storage were swift, and now nearly all provincial and municipal salt piles are covered and stored on impermeable pads. However, improving drainage is still an area of concern, and options for disposal of salt contaminated runoff can be limited and costly. In the state of Virginia, a small but growing number of state transportation department salt storage facilities are capturing and reusing salt-laden stormwater runoff for brine production. Based on a 2008 study by the Virginia Transportation Research Council, the state’s Department of Transportation could save $1.5 million per year by reusing this stormwater — which would otherwise require disposal — to pre-wet granular road salt. If brine was applied directly, in addition to pre-wetting granular road salt, savings could be as high as $6.5 million per year. Pre-wetting, where granular road salt is mixed with a liquid solution before use, is another technique that can reduce the amount of chemicals used and increase service levels. Pre-wetting improves deicer applications by making sure there is enough moisture to help melt snow and ice and by keeping salt on the road surface longer. A Michigan Department of Transportation study, as reported by the National Cooperative Highway Research Program in 2013, found that 30% of dry deicers landed on the shoulder or in roadside ditches, while using brine created a 50% materials savings due to reduction of bounce and scatter. While state and provincial transportation departments are leading the way in greener snow and ice removal options, those practices do not always trickle down to the local level. Additionally, there are great variances in technologies used to spread salt, from hand applications to tanker trucks that spread liquid brine. There are great variances in salt spreading technologies, from hand applications to tanker trucks that spread liquid brine. Some snowplows even have a range of functions for precision application of deicers. Determining how much salt to put on the road is still an evolving area of practical study, and technology controlling application rates is also continuously improving. Previously, a truck would have no control of how much salt goes onto the road. A spinner on the bottom of the truck would keep going, even at stop signs. Newer snowplows have electronic controllers regulating the amount of salt spread on the road based on the snowplow’s speed. Some trucks can even provide precision application based on sensors measuring road temperature, previous salt applications, the presence of ice, and the amount of road friction. Snowplows also can be linked with GPS systems that account for salt-vulnerable areas, such as groundwater recharge zones. Though determining the right amount of deicer seems simple with the available technology, “there are so many different scenarios,” Shi said. “There are different types of pavement, varying pavement temperatures, and traffic volumes – the field environment is very complex.” According to Shi, there is a large void in the knowledge base regarding application rates. Without much guidance on appropriate application rates, New Hampshire DES turned to Minnesota’s Snow and Ice Control Field Handbook for its Green SnowPro training. DES made adjustments and verified its changes with practical applicators. Beyond selecting the right equipment and application rates, choosing the proper chemicals also is key. Most North American maintenance agencies have moved from using abrasives — which are considered more environmentally damaging — to chemical deicers combined with snowplowing. While road salt is the most popular option due to its price point, ease of use, and applicator safety, other chloride salts, such as magnesium chloride and calcium chloride are commonly used as well. There are alternative chemical deicers that can reduce chlorides, and researchers like Shi are looking at green deicer alternatives. Shi has successfully developed an ice melt composed of leftover barley residue from vodka distilleries. Adding nano- and micro-sized particles to asphalt or concrete mixtures also helps make the pavement less prone to icing over. However, using alternatives in the same amount as road salts, there is bound to be some effect, Corsi said. For instance, organic salts, such as calcium magnesium acetate, are a ready source of food for bacteria and can increase oxygen demand in the stream. So while there are no silver bullet solutions, there are plenty of innovative examples to follow and opportunities to reduce the effects of road salts on the environment while maintaining safe and clear roads. I am trying to use some info in this article. how can I cite it, and who is the author? Twigg, Kristina M. “Solving Slick Roads and Salty Streams.” The Stormwater Report (04 Mar. 2015). Online. I’m in ND, and we raise a lot of sugar beets. Rather than using salt on the roads, some cities here use beet juice in the winter. It actually seems to work pretty well, and it’s more environmentally friendly than just using salt…although some people think it doesn’t work quite as well. I don’t think I’ve noticed a difference. Calcium chloride provides the calcium necessary for the growth of zebra and quagga mussels–invasive species. There are many lakes in Ontario and the Arrowhead of Minnesota, including Lake Superior, that are calcium poor. Will we tip the balance in favor of the invasive species?